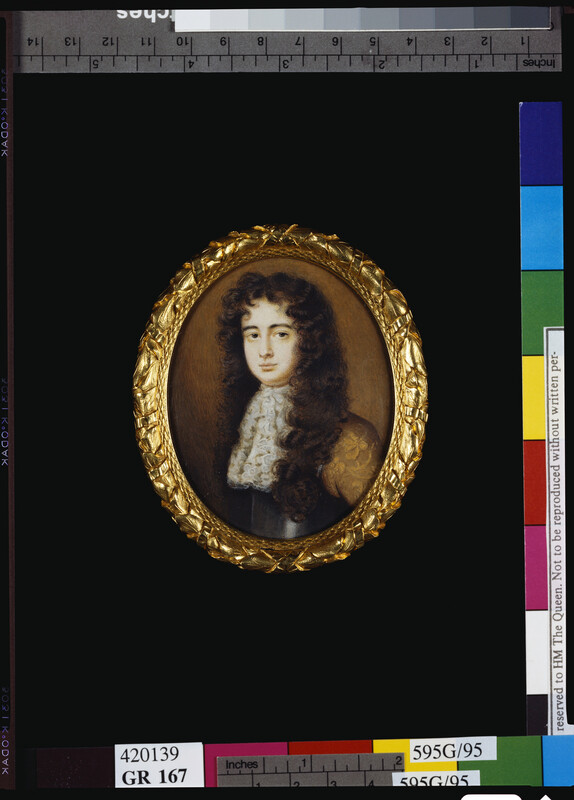 It is likely that this miniature is of Charles Beauclerk (1670–1726), the son of Charles II and his mistress Nell Gwyn, created Duke of St Albans in 1684 (cat. 167). John Evelyn described him as 'a very pretty boy', but here the artist has endeavoured to emphasise the duke's maturity with a fine lace cravat, breastplate and fullbottomed wig. In 1688 St Albans served in the Imperial army, fighting for Maximilian II against the Turks, and later went on to fight for William III in Flanders. He was a gallant soldier and held in high esteem by William, who gave him many tokens of his regard. In 1694 he married the celebrated beauty, Lady Diana de Vere (d. 1742), who bore him eight sons. 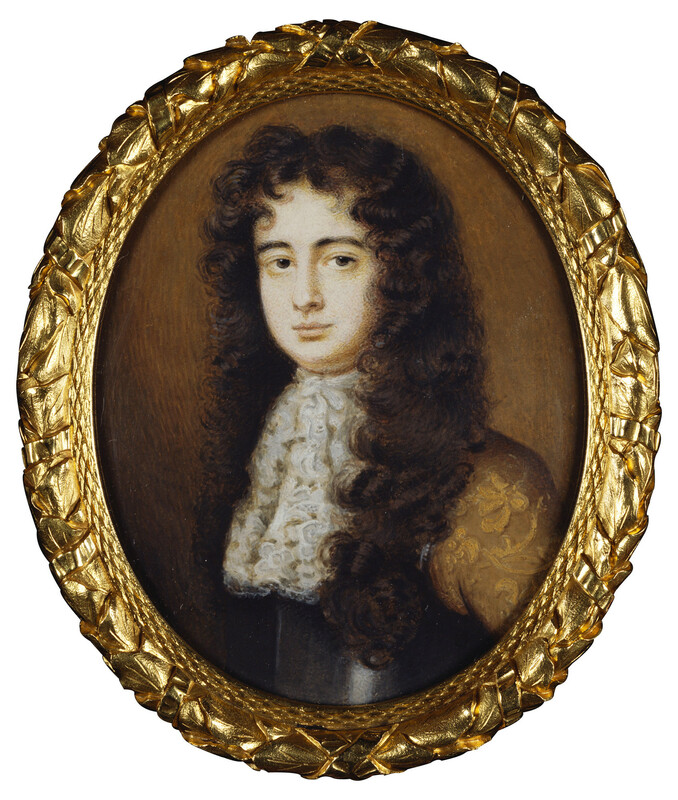 This miniature is by an unknown British artist of the seventeenth century. Text adapted from Charles II: Art and Power, London 2017.